There is a connotation that, when three Telugu people met for 10 minutes, they will definitely talk about cinema as the common topic. In a land of different ideologies, cinema is the uniting factor to all the people irrespective of caste, region and profession. Even the visionaries like Raghupati Venkaiah, the Father of Telugu Films and H.M. Reddy, the Director of fist Telugu Talkie,might have not estimated at that time, the importance and role going to be played by Cinema in the lives of Telugu people in future! The Telugu Cinema is leaping high towards its 81st year with long strides of alluring success to the industry and assuring entertainment to the audience on one hand and disappointing progress and fluctuating business on the other hand. However, the Telugu film industry now emerged as the second largest film industry in India and the highest “Film Software Producing Firm" in Indian entertainment business. On the native front, Telugu Cinema has become an integral part in the lifestyle of Telugu people. 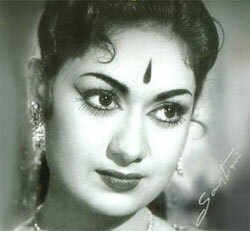 The Telugu movie world, popularly known as Tollywood now, has a long history of eight decades. On 15th September, 1931, the first ever talkie in Telugu, “Bhakta Prahlada” was released and became an alternative to the then conventional forms of entertainment such as Drama, Tholu Bommalata, Harikatha, etc. The exodus of Tollywood from 1931 to the present can be classified into different phases. In the initial phase starting from 1931 to 1941, Puranas and epics like Ramayana and Mahabharata have dominated the themes and accordingly, most of the movies have been made from them.This is a cautious effort of the then directors and producers to inculcate the new medium of Cinema to the then audience, to draw their attention from the conventional dramas to cinema theatres. The Second Phase (1941-61) had not only carried the story lines of Puranas, but also focused on the popular mass stories from Folklore. As such, Keelugurram, Bala Nagamma, Maya Bazaar were produced and became classics with their theme and technique in adapting them on to the screen. At this phase, the contemporary realistic films like Shavukaaru and other social dramas were also made and created their own impression by giving inspiration to the later Film Makers to make such movies. The Third Phase (1961-71) had witnessed a ‘Transition Period’ of adopting new technologies from black&white to full-length colour features. “Lava Kusa” (1963) had become a milestone in the journey of Tollywood with its combination of Traditional Theme (of Ramayana) and Modern Technology (first ever color movie). The film had created a great sensation and pulled the rural audience to come to theatres on bullock-carts, which ultimately made the movie a phenomenal success. The Fourth Phase (1971-88), had given the rise to the emergence of Mass Commercial Cinema in Tollywood. The movies like Dasara Bullodu, Adavi Ramudu, Premabhishekam were created a stir and rang the box-office with collections. The other movies like Kondaveeti Simham, Sardar Paparayudu, Bobbili Puli, Naa Desham have became instrumental in turning the popularity and craze of Film Hero to come into Political Power by NTR as the CM in 1983. On the other side, movies like Khaidi (1983) had added new dynamism to the silver screen and set the emotional quotient of the audience on fire, with their mass action themes. Then it is the Fifth Phase (1989-2004), where new narratives with high technical values with different story-plots within the frame of commercial mainstream cinema have been started. 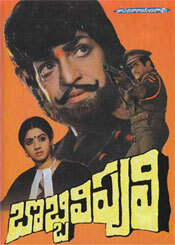 The ‘Shiva’, ‘Geetanjali’ et al had influenced the way Telugu films are generating at that time and ignited new vistas. So, some of the critics have opined that, the history of Telugu Films can be divided into two parts—“Pre-Shiva” and “Post-shiva”! Now, Tollywood at its Sixth Phase, from 2005 to the Present, where young heroes and novel themes with Feel Good Positive Factor as essence, are ruling. The movies like Anand, Bommarillu, Aa Naluguru, Mee Shreyobhilashi, Gamyam, Prasthanam, Sontha Ooru, Andari Bandhuvaya, Ganga Putrulu were produced. In this phase, Action Comedies like Krishna (Raviteja), Adurs (NTR), Dookudu (Mahesh Babu) etc., were also reigned and guarenteed the ENTERTAINMENT QUOTIENT which in turn, tasted commercial success with a record of collections. On the Actors front, the Tollywood in the last 8 decades, had witnessed the emergence of 5 Generations of Heroes and their stardom. At first, it is Chittoor V. Nagaiah followed by NTR-ANR duo. Krishna, Shobhan Babu, Krishnam Raju were the contemporaries and succeeded in establishing their own fan following with their own style of films like Gudhachari 116, Mosagallaku Mosagadu,Alluri Sitaramaraju; Devatha, Kaartheeka Deepam, Maharaju; Rangoon Rowdy, Katakatala Rudraigh,Bobbili Brahmanna respectively. The other generation Heroes were led by Chiranjeevi- Balakrishna-Nagarjuna- Venkatesh. The present generation Heroes are more of Star-Heirs and they are struggling hard to cash in on the bastions of ‘Fandom’ created by their Parents and Grand Parents. This list includes Mahesh, NTR, Allu Arjun, Ramcharan Tej, Prabhas, Ram, Gopichand et al. The Eight-Decade-long Telugu Film world had become synonymous for high-budgets and heavy box-office collections too. Adavi Ramudu is the first movie to cross the mark of Rs.4 Crore, while Gharana Mogudu created a record with its Rs.10 crore collection. Later on, Indra, Pokiri, and Arundhati had collected a staggering amounts of Rs.20 crores, Rs. 32 crores, and Rs.35 crores respectively. But it is Magadheera, which broke all the previous records by reaching all-time heights of Rs.67 crores. The Telugu Film Industry was started its breath in Chennai first and in 1970s shifted to Hyderabad. The incessant efforts of the Industry people, Tollywood now become the Hub of Film Entertainment. Every year, it is producing 120 to 140 Direct Movies, apart from 70 to 90 Dubbing Movies. As such, the industry is investing Rs. 700 crores every year. In addition to this, the infrastructure facilities here, have developed to a length of making ‘state-of-the-art’ movies with very advanced high-end technologies. The Laboratories, Studios, Recording Theatres, Film Processing Units and Poster Publicity Units for Pre-Production, Production and Post-Production of films, have now equipped with latest ‘technical know-how’. The Ramanaidu Studios, Ramoji Film City( the largest Studio in Asia) are ensuring the producers with all sorts of services in film making. And there are more than 1900 film theatres, 25 Multiplexes and one IMAX for the exhibition of the movies, across the state. The Tollywood, with its eight-decades of glorious past, now making experiments and expanding its horizons to new avenues. The Film Distribution system so far, is restricted to the areas like Nizam, Andhra, Ceded and other Areas. Now, the new strategies in the light of the “Globalisation”, have extended the boundaries Telugu Movie Market and a new market of’Over-seas’, Kerala, Karnataka, Tamilnadu, Bihar have been identified. In addition to them, the advent of satellite channels in 1995, have also created a new revenue mechanism to the Film Industry. Now, the producers are getting additional revenues through the sales of satellite rights, DVD/CD rights, Dubbing/Remake rights and Ring tone rights too. On the other side of the screen of Tollywood, the 80 years of journey will leave a gloomy note. The industry is facing a very low success rate of 8 percent per annum, which incurring huge losses. On the heroines front, our very own ‘mana’ Savitris are disappeared. They become the ' endangered species' in Telugu Films now.Those were the days of Jamuna, Krishna Kumari, Jayasudha, Jayaprada, Vijayashanthi, Bhanupriya. It is the hey-day for all those ‘imported ’ beauties. This trend of Non-Telugu Heroines was also there earlier. But, it is since the last decade, the North Beauties have become a comman practice and USP of Telugu Movies, which has wiped out all our Telugu Heroines to go out of the screen! There are more than 5 Dada Phalke Awards in our kitty to boast of, but tollywood is nowhere in the arena of national awards. Once, in the 'good olden days', our “Bangaru Papa” had competed with the ‘Pather Panchali’ of Satyajit Ray for Best Film. But the present scenario is completely disheartening, as the Telugu filmdom is confined to churning out “mass-mainstream-commercial-formula” films only, which are mere routine entertainers without any substance. It is the right time to retrospect and restructure Tollywood to restore its glory again with an aim to create screen-full of bright future in all aspects of Cinema Art!